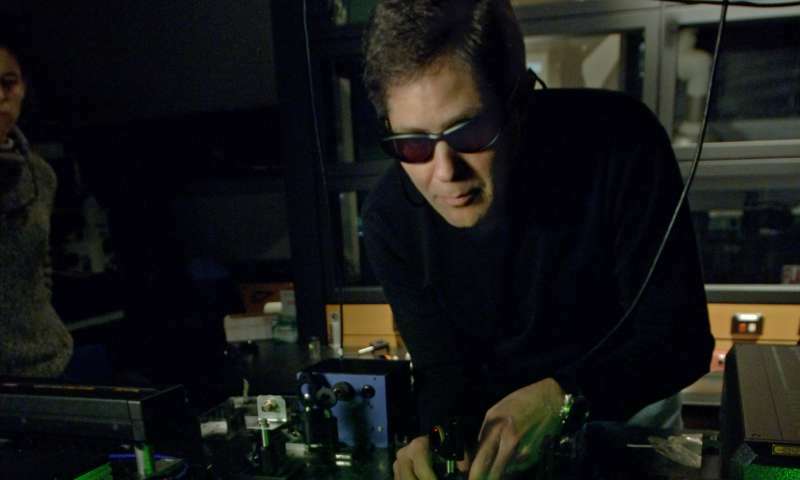 Using lasers, Michigan State University scientists have unlocked the secret and published their results in the current issue of Nature Scientific Reports. In a basement laboratory on campus, Marcos Dantus, University Distinguished Professor in chemistry and physics, and his team essentially duplicated the mechanism that's found from the center of the galaxy to Earth's own ionosphere. "We found that a roaming H2 molecule is responsible for the chemical reaction, producing H3+; roaming chemistry is extremely new and little is known about it," Dantus said. "This is the first documented case for a roaming H2 reaction, which is significant because roaming mechanisms are a budding chapter of chemistry – one that may provide explanations for unlikely and unexplained chemical reactions." One reason for the dearth of knowledge is that the process happens in near immeasurable time. The entire reaction, involving cleavage and formation of three chemical bonds, takes between 100 or 240 femtoseconds. That's less time than it takes a bullet to travel the width of an atom, Dantus added. How the roaming H2 molecule extracts the proton to evolve to H3+ is nothing short of astounding, according to the scientists. A neutral H2 molecule is formed upon ionization of an organic molecule, and it roams around the remaining ion until it finds an acidic proton. Once targeted, it then extracts the proton, and collects it to transform into the most abundant ion in the universe. "We were able to duplicate in our lab what's happening in the cosmos as we speak," Dantus said. "Understanding this mechanism and its timescale takes us one step closer to understanding the chemical reactions that created the building blocks of life in the universe."